Want to know how to make perfect hard boiled or soft boiled eggs in the Instant Pot (electric pressure cooker/slow cooker/steamer-in-one)? 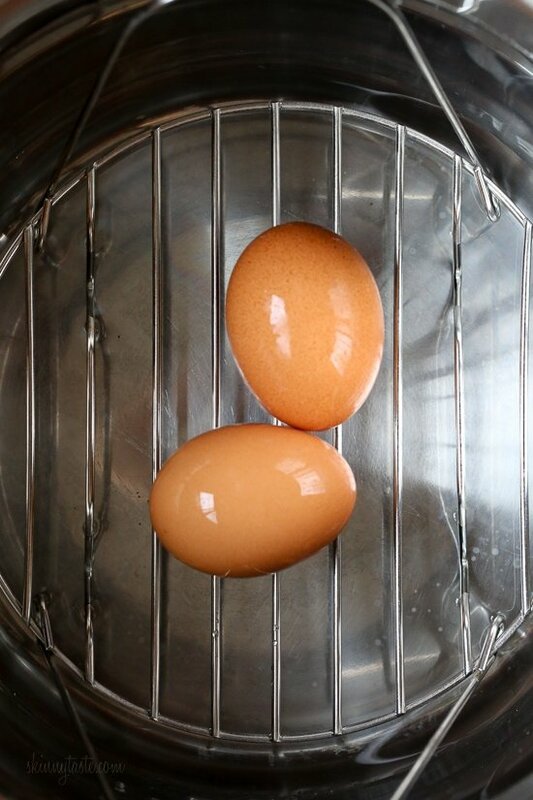 This simple formula will give you perfect, easier to peel eggs every time. Hard boiled eggs will keep in the refrigerator for 1 week. If you don’t have an Instant Pot and prefer to make them on the stove, here’s my foolproof method for perfect hard boiled eggs every time. I always keep a batch of hard boiled eggs on hand in my refrigerator for breakfast on the go, add to salads, etc. Have you tried a breakfast salad? I first had one a few years ago and think it’s genius. I prefer to make them with soft boiled eggs, but you can use whatever you like. Make deviled eggs. Or for a twist on the classic, guacamole deviled eggs. Make a healthier egg salad by swapping mayo for mashed avocado. Top them on your avocado toast. Use them to whip up a quick egg sandwich, this is my daughter Karina’s favorite egg sandwich. Add them to mason jar salads for protein, this is one of my favorites. Perfect hard boiled eggs and soft boiled eggs that are easy to peel! Place the rack in the bottom of the pot. Pour the water in the pot. Place the eggs on the rack. High pressure on manual 3 minutes. Quick release placing a towel over the valve so steam doesn’t get everywhere, then quickly run the eggs under cold running water until cool enough to hold. Peel right away. High pressure on manual 5 minutes. Natural release 5 minutes then use quick release placing a towel over the valve so steam doesn’t get everywhere, then quickly run the eggs under cold running water until cool enough to hold. Peel right away. How many at the most eggs to hard boil at once? I need to hard boil 4 1/2 dz. You can do as many as you want! I made a dozen this morning. Same time, no change to the recipe! I just got an instant pot and used it for the first time following your hard boiled eggs instructions. They came out perfectly! Thanks so much! Wow! I made 12 jumbo eggs straight from the refrigerator. 1 cup of water. So easy to peel afterwards! Perfectly boiled! Scotch eggs, here I come…. Needed hard boiled eggs and did the 5-5 as in recipe. Eggs were not fresh bought. Turned out more like very soft poached eggs and white tide to shreds while peeling. All four were unusable. So far the only thing that has not worked at ALL in the instant pod did me. Maybe I’ll go 6 minutes next time. Or …. maybe this is one thing I just need to boil in a pot on stove. Same number of steps. I wonder if altitude has an effect on time. We live at 4900 ft. So I am going to try 6 min., then 7 if need be. I’m at 5400 ft and 5-5 method works perfectly. No change from the recipe. 5 minutes on high, 5 minutes off, release steam and then place in ice bath. Make sure you have your IP set on High pressure. That is the only time my eggs didn’t turn out perfectly. For some reason my pressure setting was on Low. Is there a reason for 4 eggs or could you do a dozen (or more) and, if so, do you adjust the time?Thanks! I just did 3 dozen at once (just don’t go over your max level on the IP) and they all came out the exact same way…..perfect! Same here. I do 7 high pressure and 7 natural release and they come out a lot better. I’ve also learned that since we buy organic eggs, they are often really fresh so don’t peel as well. For Easter I let them sit in my fridge for 3-4 weeks before cooking them and that seemed to help too. I have been using mine and they have been great, but lately they have been cracking and I just had one totally blow up! What would cause this? Thank you, thank you!!! 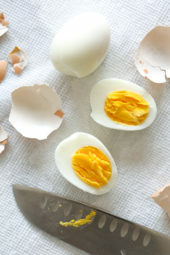 I’ve never made hard boiled eggs that were this easy to peel!! so placing a towel over the steam valve can actually mess with the automatic safety features in an instant pot and can cause it to say it’s ready to open when it’s not actually ready to open. Then when you do go to open it, the steam blows up in your face and can cause very serious burns. I would not recommend putting a towel over the steam valve. This! Never cover your instant pot lid! Read the manual! Placing the towel over the valve is actually more like creating a back wall, redirecting steam iaway from cabinets and such. The valve is no way covered, steam still can escape quickly. I assure you, covering the valve with a towel is not a problem. This came from Instant Pot company directly. The had to put the disclaimer in the manual in case someone got burned but it won’t harm the pot it it’s safety features. Perfect! Thank you! I’ve used the recipe to make four to a dozen Hard Boiled eggs and the recipe worked it’s magic everytime. Sometimes In e peeled them right away, other times I’ve kept them in the fridge. Easy to peel either way. Thank you! Today I tried the Egg button on my IP and it automatically set to five minutes. Brilliant minds think alike! Looking forward using the recipe for Soft Boiled egg perfection next time. Any tips if your steamer insert went missing? Can the eggs sit on the bottom in the water, or will they break? They sell plastic inserts at Crate and Barrel. Works great, specially designed to hold 12 eggs. No more terrible looking peeled eggs for deviled eggs…etc. I was able to peel them perfectly…..SO EASY! Thank you! Sorry also forgot to give the stars .. lol..
Best hard boiled eggs ever!! Thank you for the tips!! I thought you were not supposed to ever cover the valve. It messes with the safety features of the pot. I make several batches each weekend. I found that when I put in a second batch, 5 minutes under pressure is not enough. I tried a second batch with a 6 minute pressure and 5 min release and that solved the issue. Any idea why this is happening? Also,I don’t have a rack so I bought a silicone one. It only let’s me do 9 eggs at a time. any suggestions on how to do more (like 2 doz) at once? I don’t have a rack for mine it that ok? So are the eggs a room temperature or right out of the refrigerator? I took mine right out of the refrigerator. They cracked. I’ve cooked many times before with success. I think before they must not have been so cold to start. Over done… eggs were brown (sign of being overdone at high pressure). Sorry. For medium eggs I followed soft directions, but set time to 4 minutes instead of 3. Perfecto! 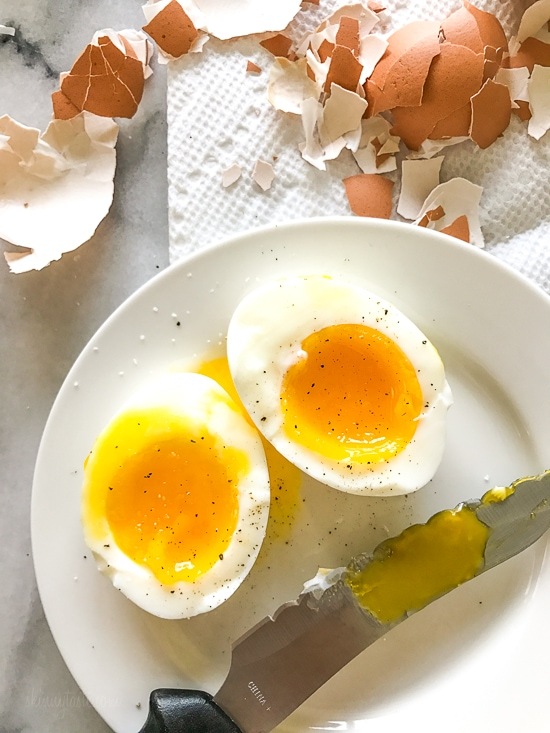 The perfect way to cook hard boiled eggs in the Instant Pot! And super easy to peel! I’ve been struggling to find a way to make hard boiled eggs that I can actually peel for a looong time. These were so easy to peel and cooked perfectly! This is my new go-to method! I have never had eggs peel so easily. You stated to peel the Instant Pot Hard Boiled Eggs “immediately”. I like to keep hard boiled eggs in the fridge as snacks but was taught never to peel them beforehand. What will happen if I do not peel “immediately”? If you wish to keep the shell on they can be kept in the fridge for up to one (1) week. I’ve followed the hard boiled eggs direction several times. Half of the time they come out perfect, the other half they crack and turn brown. Anyone know what I’m doing wrong??? OMFG! I LOVE THIS INSTANT POT! These are perfect! Everything turns out perfect! Thanks for sharing this. This sounds stupid, but these are THEE best, THEE most consistent hard boiled eggs I’ve ever had. Thrilled. Thank you! WOW! Fantastic soft-boiled eggs for breakfast for the first time in YEARS! My Instant Pot has an EGG button. Could/Should I use that for making my hard boiled eggs? Thanks! Mine too. I tried using the 🥚 Egg Button today and it worked beautifully for Hard Boiled eggs. It automatically set 5 minutes under high pressure just as the recipe here does. I will use the manual time and method recommended here for Soft Boiled eggs. I meant to give you five stars, not one. First time comment, sorry. 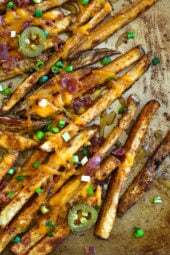 Thank you for this great and easy recipe. However, it is a safety precaution to put a towel over a pressure cooker valve. The best thing tobdo is let it naturally depressurize at least 5 to 10 min. Afterwhich there is not much pressure left to make a splatter. Thank you. 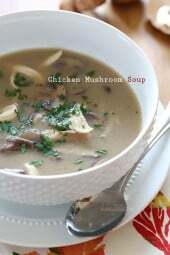 I am an Instant pot newbie but I love it after only 2 weeks. I made soft boiled eggs with your method using an egg rack made to fit in the IP and they are perfect! I have never been able to master the exact texture I want by boiling them on the stove, and now I won’t ever need to do that again. No guessing involved! Next I will try more adventurous egg recipes, now that I know I can succeed with no guesswork. These came out perfect! I followed the directions for the hard boiled eggs (not soft boiled) and they were very easy. My instant pot took 6.5 minutes to come to pressure, and then accounting for the 5 minute cook time and then additional 5 minute natural release time, I had hard boiled eggs in less than 20 minutes! Very simple, and your directions were so easy to follow and understand too. Thank you for sharing! Thank you they came out perfect and so easy to peel. I followed the instructions for hard boiled eggs, but got soft boiled eggs instead. What am I missing? Did you do natural release of the pressure for 5 minutes before the manual release? I was shocked at how easy these were to peel. Might be my new favorite use of my instant pot!! Thank you so much!! Did you do the 5 minutes of natural release? Meaning you do not release the steam for 5 minutes after cooking time. So a total of 10 min cooking. Oops! This is exactly what I did! I cooked 5 min then quick release – soft boiled! Thanks! Thank you!!! I was so confused ???? 1st thing I made in instapot. Turned out great! My 6-quart instant pot says to use no less than 3 cups of water at all times. Will it really be ok with one? I’ve Ben using one cup of water in my instant pot and so far everything is turning out great. My 6-quart instant pot says not to operate it with less than 3 cups of water. Is the one cup of water really ok? 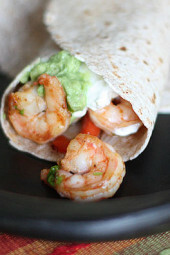 This looks so much easier than boiling them on the stove! Would it turn out okay if I cooked 12 eggs at a time? Yes! We just did 14 eggs. (What was left from an 18 pack) Turned out PERFECTLY! Easy to peel, and pretty, too. So easy and comes out perfect every time..whether I’m making 4 eggs , or 2 doz at a time they come out perfect..thanks for the great “how to”. How much water do you use for 2 doz? Thank you so much for this comment! I getting ready to do 5 dozen and was wondering if the cook was the same! Best hard boiled eggs I’ve ever made! Thanks! This works great! Thank you!